Backbeat Dining’s 2-4-1 benefit has changed providers to Crave, a premium dining platform offering a comprehensive dining directory listing thousands of restaurants countrywide. We’ve expanded our exciting Dining benefit to include our new Coffee Voucher and Dining Voucher benefits (both utilising Zapper). These benefits help make eating out a regular and more affordable treat. Buy one meal & get one free to the same value at over 1000 restaurants countrywide. Max discount R120. 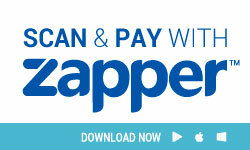 Get 50% off at any participating Dining Voucher restaurant when you scan & pay with Zapper. Max discount R120. Get 50% off at any participating Crave Coffee Voucher shop when you scan & pay with Zapper. Max discount R25. Whether you are traveling for work, meeting a friend, dining out or eating in, Crave’s list of restaurants will ensure no-one is starved for choice. 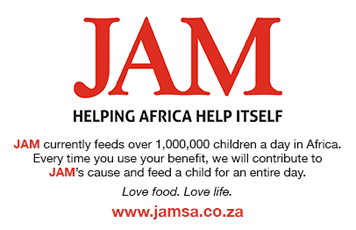 Every time you use your Crave benefit we feed a child for an entire day through Joint Aid Management (http://jamsa.co.za).